In cemeteries all around Ontario, there are countless historical upright gravestones that are broken, weather damaged, have fallen, or become buried over time. 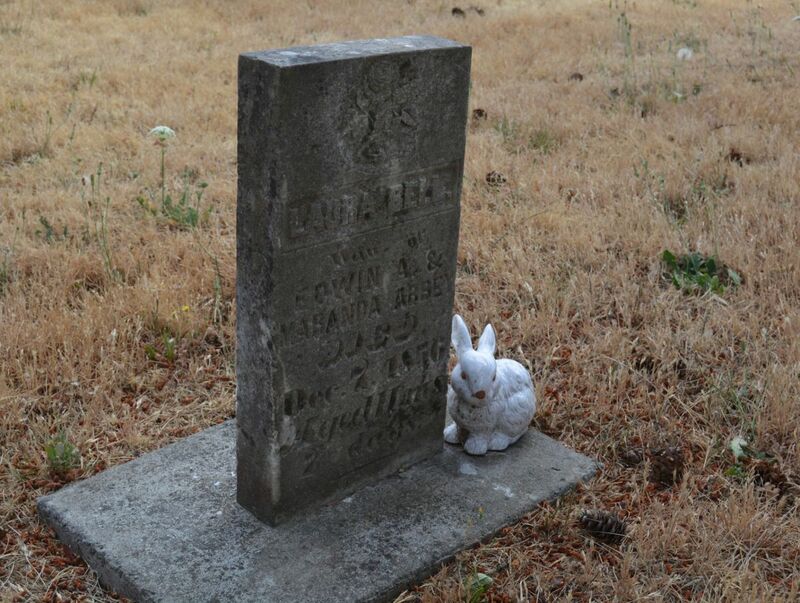 Not only do broken and damaged gravestones cause the loss of valuable historical information engraved on them, they present the most serious public safety issue facing cemeteries today. While it's imperative that facility managers take all necessary action to comply with provincial safety laws, it is also essential that stone repair and restoration is done by qualified, skilled professionals. Too often, we have witnessed the tragic results of gravestone repairs done without proper training or materials - often due to budget concerns. The result of these efforts is usually the total, irreparable destruction of precious, historical artifacts. 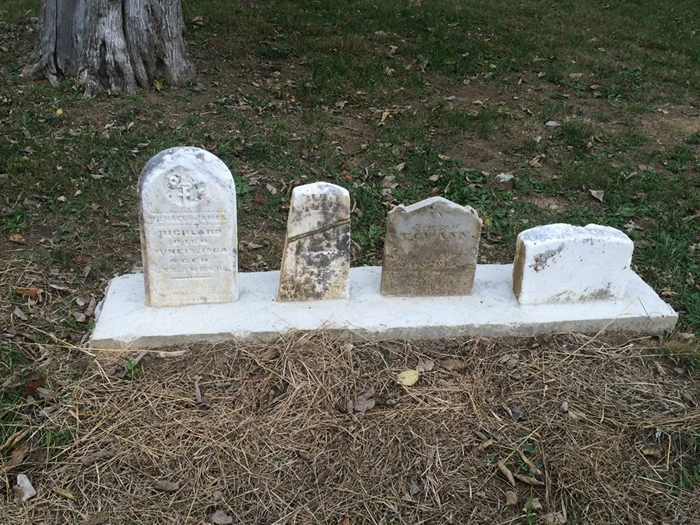 These historical upright gravestones were destroyed by improper repair technique. 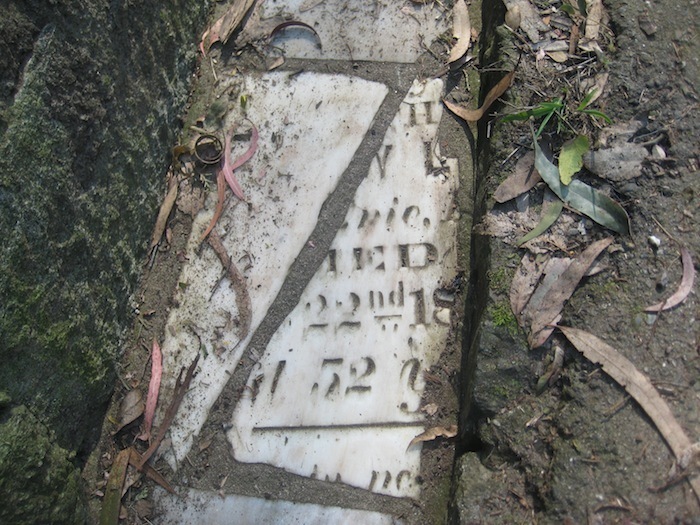 Most older cemeteries contain countless upright grave markers in various states of disrepair and deterioration. Each of these stones is unique, so we assess them individually to determine the best course of action. Then, following the principles outlined in Ontario's guide to gravestone conservation, Landscapes of Memories, we use biodegradable products and precise techniques to ensure the longevity of each repair without causing further or future harm to the monument. 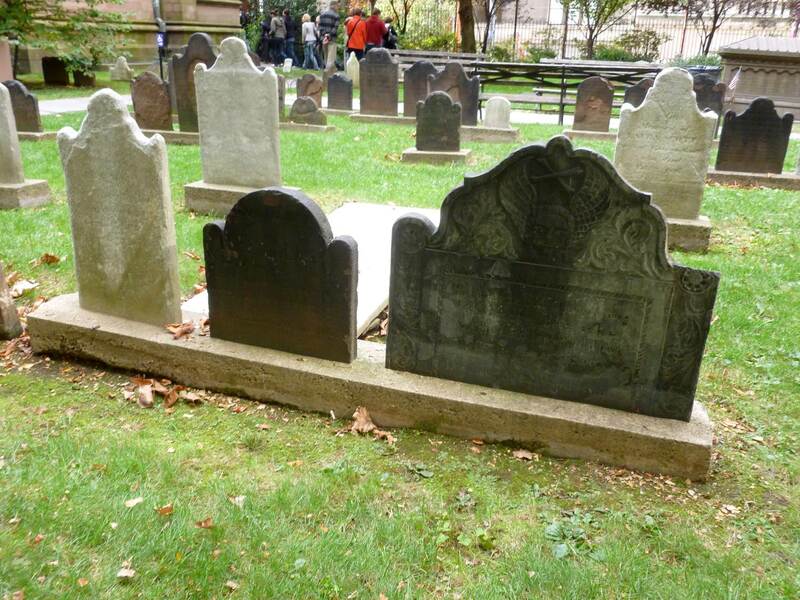 Memorial Restorations, Inc. is Ontario's most trusted leader in gravestone repair and restoration. We offer complimentary consultations, and are happy to design care and maintenance packages to suit most budgets. Contact us today.